Dr Daniel Auger is a senior lecturer in Control and Vehicle Systems at Cranfield University’s Advanced Vehicle Engineering Centre. As the university launches a new university course focused on autonomous and connected vehicles, Dr Auger ponders the skills required by those looking to make a career in the automotive industry. Transport needs to be – and, realistically, can be – re-modelled around the potential of intelligent mobility technologies into a new ecosystem: a host of options for transportation made available as part of an integrated, managed system, and all founded on more use of autonomous vehicles and networks of sensors and information-sharing. Our existing transport system, by comparison with this future vision, is looking time-consuming, inefficient, bad for the environment and reliant on fallible humans for safety. Rather than individual transport users battling for space in each local area, journeys could be planned in ways that work better for everyone, taking advantage of knowledge from real-time data and ideas such as groups of cars driven autonomously in platoons, making more use of shared cars and other vehicles, of purchasing mobility as a service. The nuts and bolts of the necessary technologies in terms of intelligent and autonomous transport are already in place or are rapidly developing. Tesla already feels comfortable in claiming that all its models of cars contain the hardware needed to be fully self-driving. But we’re also at a stage of uncertainty when it comes to which of the technologies and options are going to be the most commercially viable, those that will be seized upon by the public, and those that will be left standing. High-end cars have, of course, included elements of automation for some time – like adaptive cruise control, collision braking, automatic parking, lane-keep assist, sign recognition – and these features will cascade eventually into most models, by choice and eventually possibly via legislation. What we do know is that we need more people with skills suited to developing our future of Intelligent Mobility. 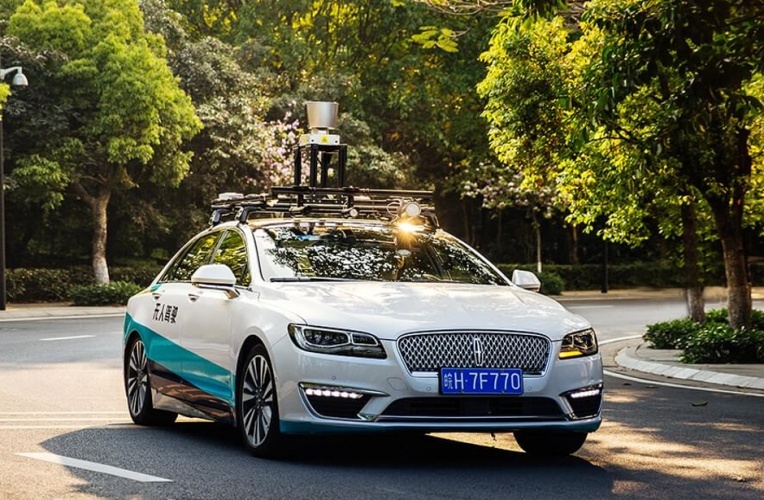 Recent years have seen a dramatic rise in the number and range of organisations investing in autonomous vehicles, from branded OEMs to Tier 1 suppliers, software companies and tech start-ups. Research by the UK’s Transport Systems Catapult predicts a skills gap of 742,000 people by 2025, with a particular need for ‘high value’ digital skills, and the potential for losing £50bn per annum to national GDP from not having the skills to exploit the opportunities. At the same time, because of the level of future potential, jobs in the sector are going to be in high demand. Jobs site Indeed reported in the autumn of 2018 that searches for autonomous vehicles roles had grown by 668% since 2015 in the USA. In other words, engineers are going to need to equip themselves with specialist expertise to be part of the boom. Based on its data from recruiters, Indeed suggests they want to see knowledge of image processing, AI, machine learning, and more specific skills like C and C++, Java and Python programming. From Cranfield’s partnerships with the automotive industry, we have seen the urgent need for more specialist knowledge of connected and autonomous vehicles (CAVs). All manufacturers in the sector face the same challenges of turning all the difficult bits and pieces of disruptive technologies into a harmonious – and commercially rewarding – future. They want the new essentials, the practical skills in autonomous systems, sensors, path planning, visualisation, inter-system communications. And more broadly, industry needs capability in systems engineering, cybersecurity, and the combination of technical and leadership qualities needed to deliver holistic systems of transport that are in tune with societies and their changing expectations of what’s needed, what’s safe, what’s ethical. Cranfield’s new Connected and Autonomous Vehicle Engineering (Automotive) MSc has been set up to meet these very specific and evolving needs. The university is turning itself into a uniquely tailored environment for working on CAVs at the centre of the Oxford-Cambridge technology arc, through its on-campus test road, Intelligent Mobility Engineering Centre, deep-rooted partnerships with automotive manufacturers. We have been engaged with advanced automotive technology research for decades and continue to be in the thick of ongoing CAV projects with Nissan and Jaguar Land Rover. In this age of transition, there are no easy answers. But that also means that those people equipped to take on those challenges directly are at a premium, and will be ideally placed to be industry leaders and play a part in shaping operations that won’t just lead to new products but better worlds to live in. Cranfield’s first Connected and Autonomous Vehicle Engineering (Automotive) MSc programme will run from October 2019. More information can be found here.